PALS food pantry item for April is Spaghetti & Spaghetti Sauce. 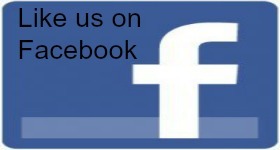 Like us on Facebook for updates & pictures! You can also now find us on Twitter and Instagram! Online registration for Student Ministry events. For your convenience, click here for online giving and information on forms of giving. First Baptist Church Henderson believes that a "Church on Mission" honors God, loves people and meets needs. We strive to provide relevant, engaging worship services and a variety of opportunities of Bible study for all ages along with many activities for fun and fellowship.